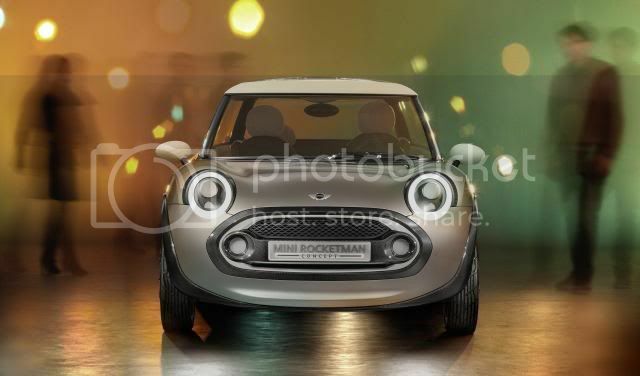 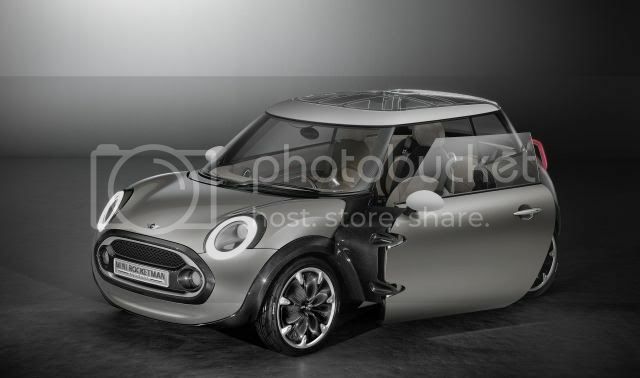 This is the Mini Rocketman concept, a vehicle that takes inspiration from the original 1959 Mini. 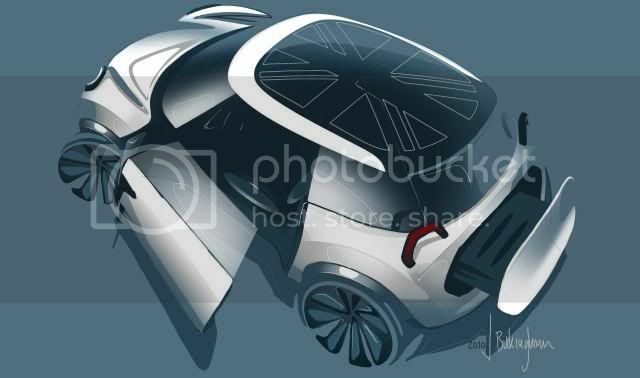 The concept will debut at next week's Geneva motor show and will measure at a mere 3,419mm long, 1,907mm wide and 1,398mm tall. 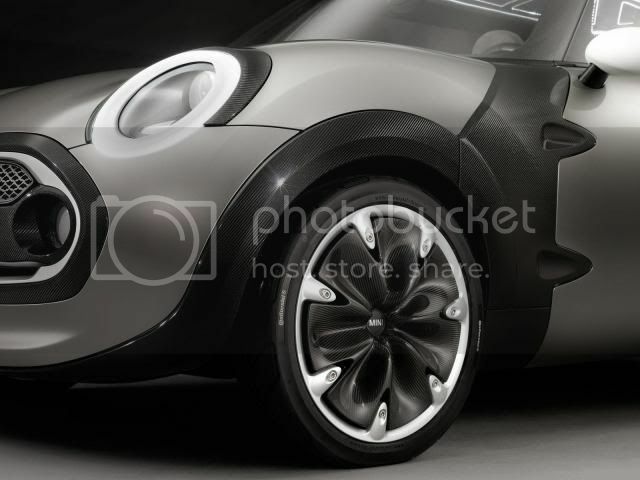 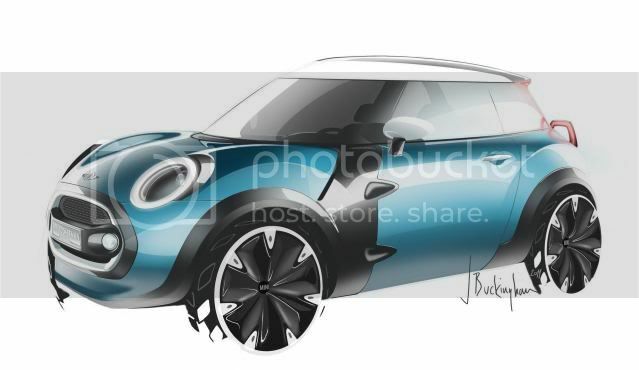 The Rocketman will preview Mini's new design language, as the brand is facing stiff competition from more capable rivals. 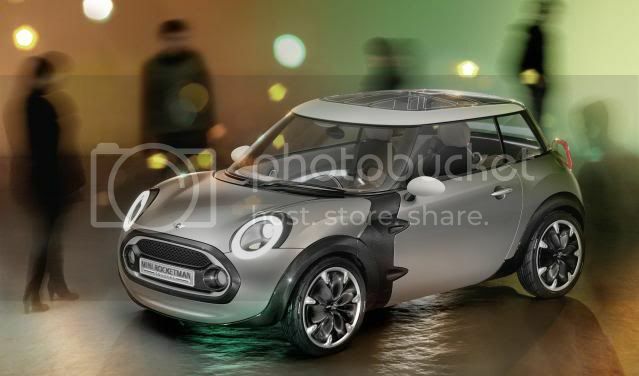 Executive of the Mini division, Wolfgang Armbrecht said BMW will carefully monitor the public and presses reaction to the new model. 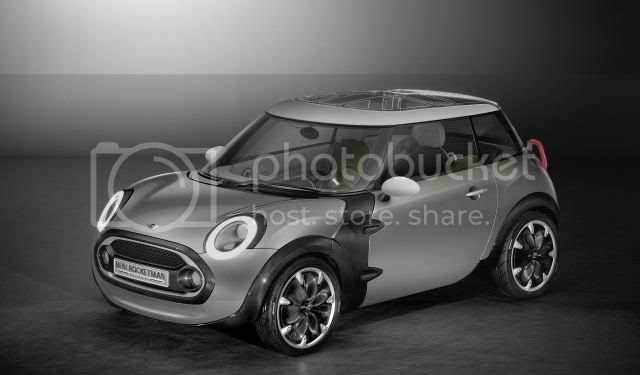 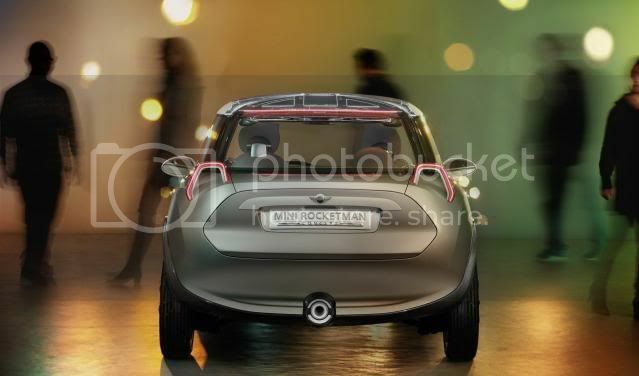 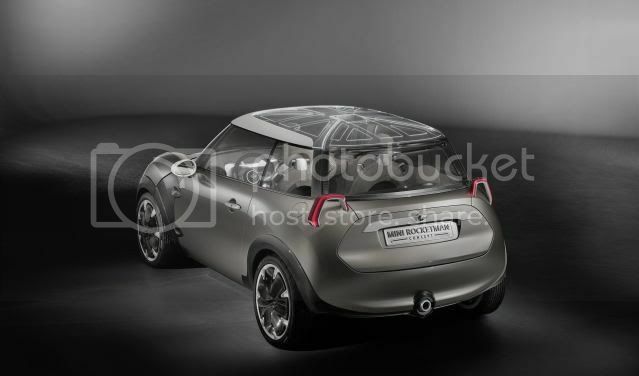 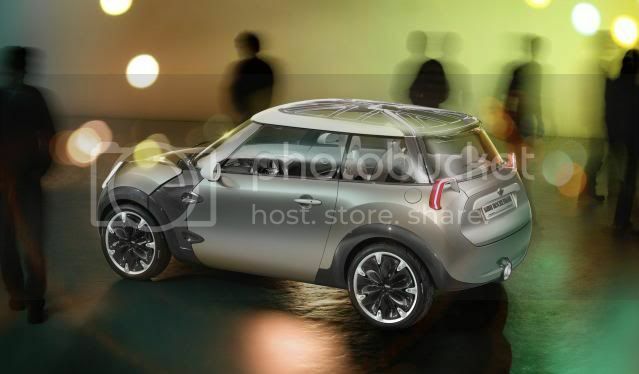 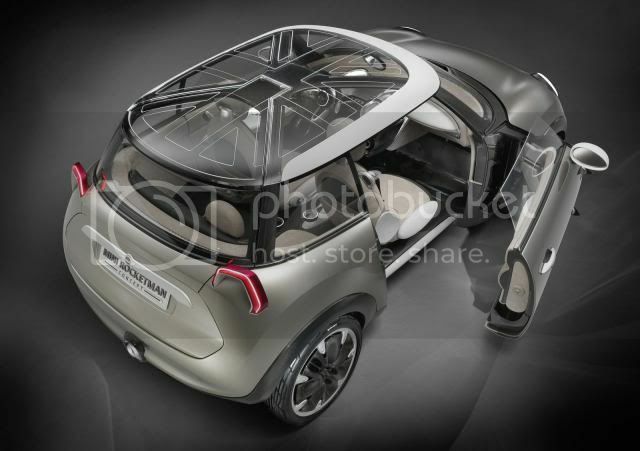 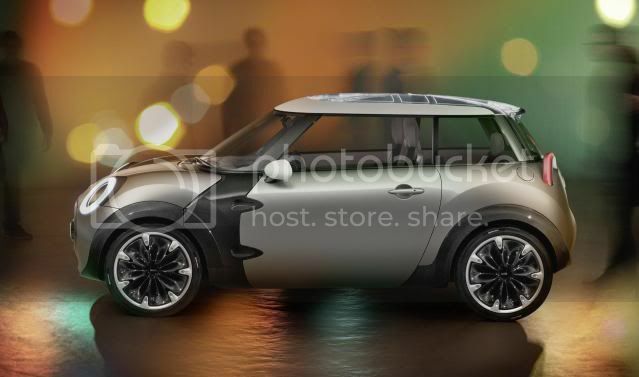 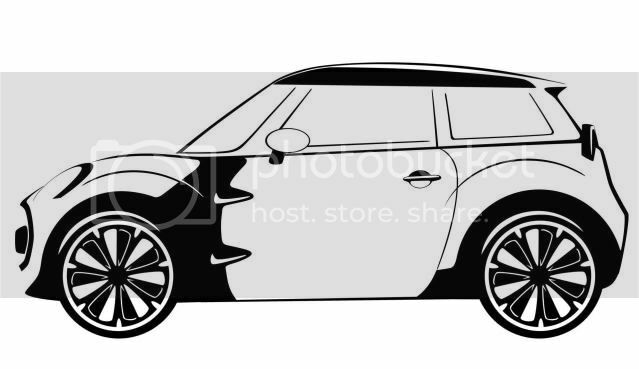 According to BMW, the Rocktman isn't hinting at a forthcoming production vehicle, although despite the concept's 3+1 seating layout, we expect Mini to green-light it for production. 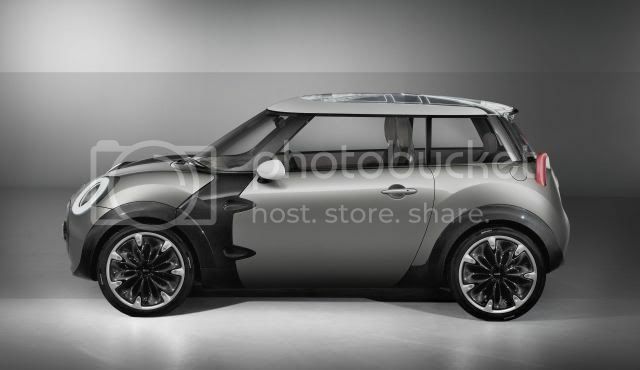 Exposed carbon fibre, metal grey paint, panoramic glass sunroof with optical lighting, 18” alloy wheels, LED headlights, and wraparound silhouette feature. 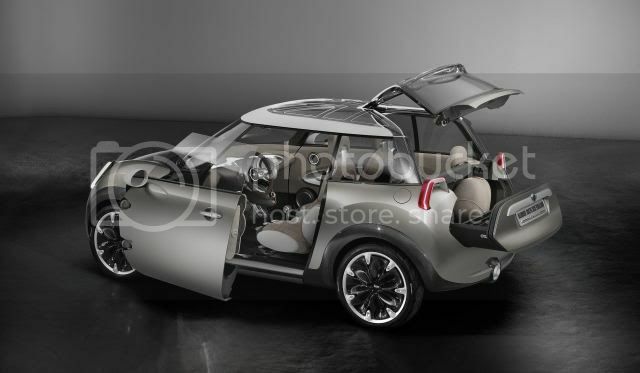 Additionally, the doors are double-hinged and are extended to the front wheels. 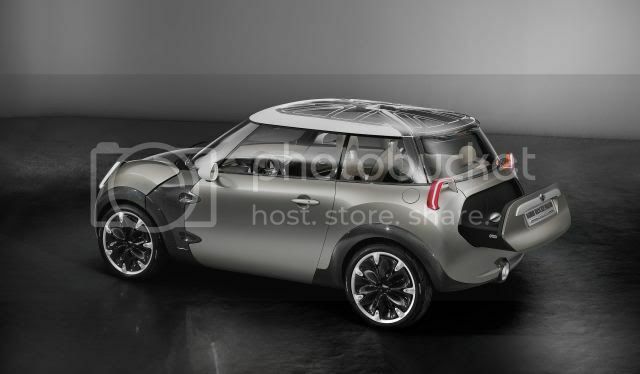 The unique two-piece tailgate will allow luggage to be placed on the drawer. 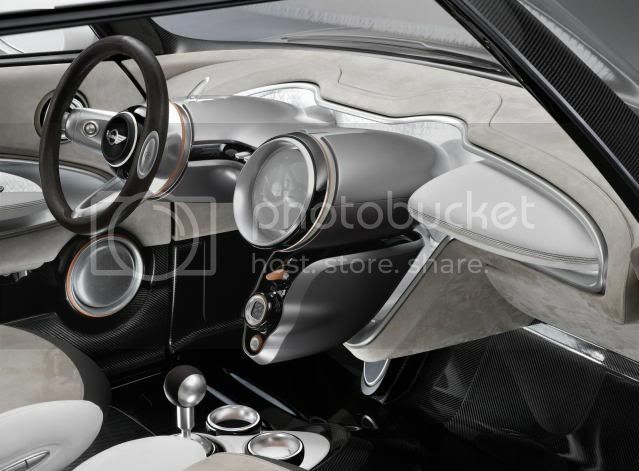 The cabin uses premium materials like Alcantara, leather, paint accents, and carbon fibre. 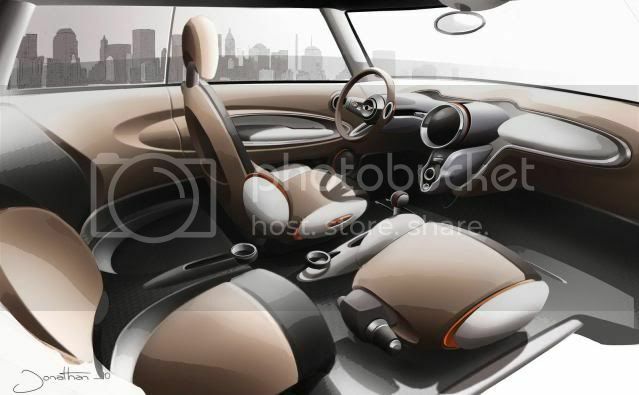 The cabin is wide and deep, giving a sense of space. 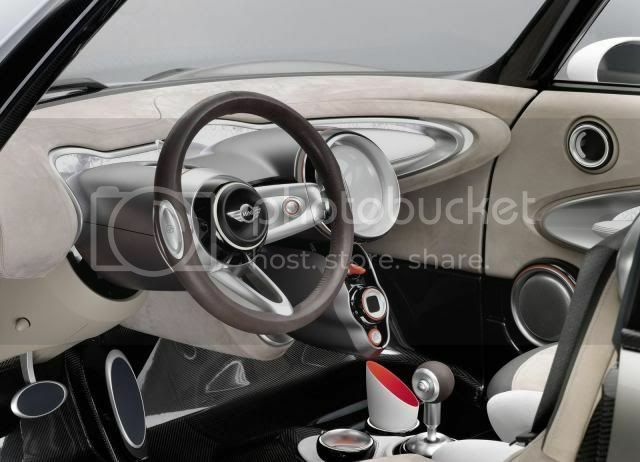 The current large centre speedometer is replaced with a unique touchscreen that controls the radio, Internet, and satellite navigation system. 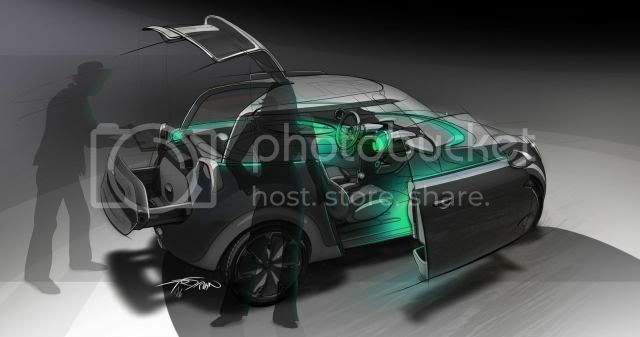 The can be configured using a computer, once it's been taken out of the car. 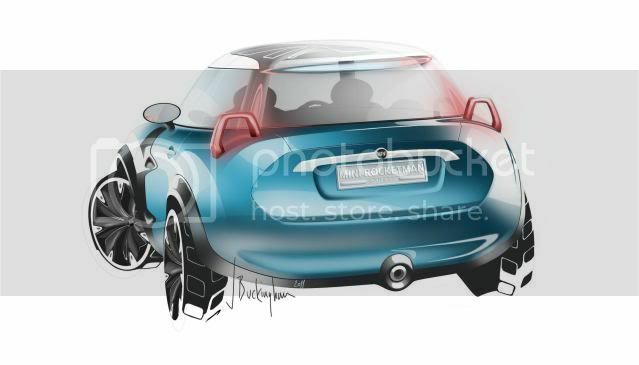 The Rocketman Concept can return 94mpg (3l/100km/78mpg U.S).